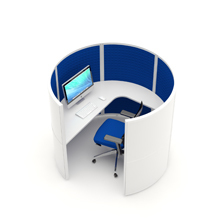 No more “Shhhh.” Quiet spaces for offices. Noise in the office can be distracting and is one of the most important causes of stress in the workplace. Some noise in the office can be accustomed to, so it is not distracting and staff become attuned to this background noise and are less disturbed by it. 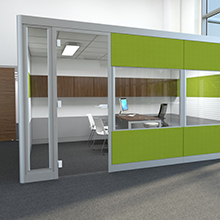 However humans are tuned to focus on sound energy frequencies that correspond to speech and as such the noise of voice communication is normally the biggest issue facing staff particularly in open plan areas. Distracting noise creates dissatisfaction of employees within the office and this can lead to irritation, stress, low motivation and a reduced performance. 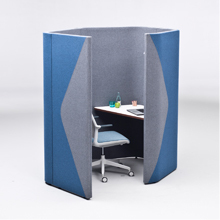 Helping address these problems is our key motivation and we have a host of acoustic pods and acoustic products with vast experience in office acoustics to assist business improve staff morale, staff retention, staff recruitment and the financial bottom line. 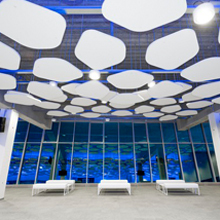 Why improve your acoustic environment?